In Anne Cassidy's recent blog It takes a lot more than one person to write a book she mentioned a lot of different people who contribute is so many ways when you are writing a novel. But if what you are writing is not a novel but a picture book there is one person whose contribution is as important as the author, and that is the illustrator. Picture book images are not merely drawings that help the story along, they are an integral part of the story, often carrying a storyline of their own. If you drop by picturebookden.blogspot.co.uk you will find some interesting and amusing blogs about writing/illustrating picture books, including one by Malachy Doyle on how NOT to write a picture book- see especially points 6 & 7 about illustrators! People are often surprised when they discover that the author and illustrator of picture books frequently do not meet, or even speak to each other during the process. 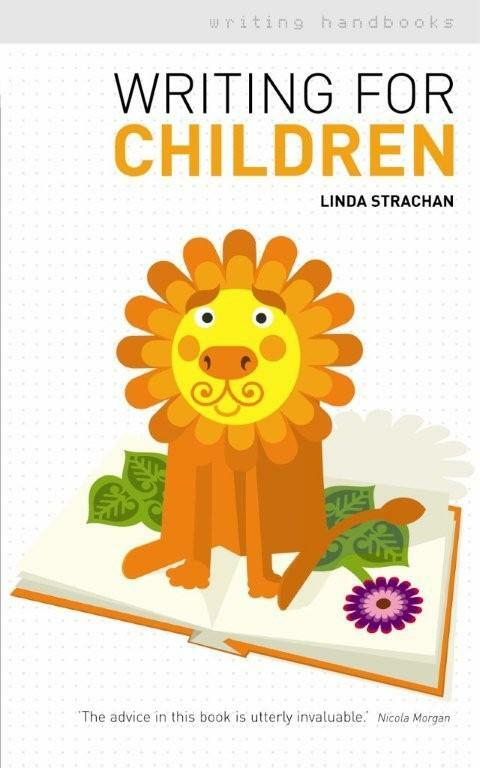 The publisher will decide to publish a picture book text and then commission an illustrator to work on it. The editor is then often the go-between during any discussions about the illustrations. This has been my experience except in one case and that is the Hamish McHaggis series, 10 books that I have written over the last 10 years which were illustrated by my dear friend Sally J. Collins, a talented illustrator. Sadly Sally passed away recently as some of you will know, but as well as being friends we had a wonderful working relationship as author and illustrator working closely together from the very start of the project. When I was approached to write the Hamish McHaggis books, I suggested that Sally would be a great illustrator for them and luckily the publisher agreed. Once I had outlined the personalities and characteristics of the four main characters, Sally started working up the drawings until we were both happy with the way they looked. 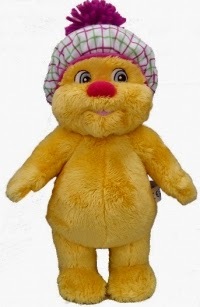 Hamish, a cuddly Haggis, went through various versions before we were happy with him and Sally as had no wish to draw Hamish or the woodland creatures who were his friends, wearing clothes, we compromised with accessories. Sot Hamish had a hat, Jeannie the osprey had pink beads and painted claws, Rupert the English hedgehog sports a bow-tie and often wears his glasses, and the cheeky wee pine marten, Angus, wears his red cap back to front. 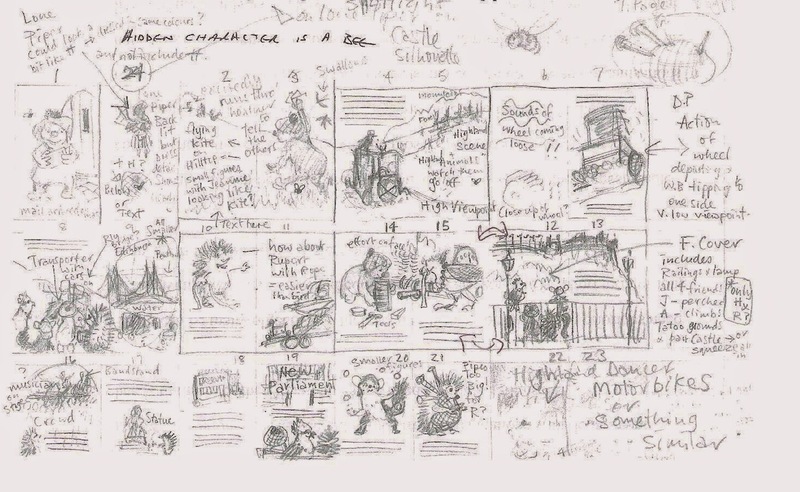 Because we had a very tight deadline for the first 4 books, Sally and I fell into a kind of routine where I would come up with the basic storyline and she would do thumbnail drawings of all 12 double page spreads. We would meet up, luckily we lived close to each other, and discuss how it would look and make some changes before I even finalised the text. This meant that Sally was able to get started on full size rough drawings of the first few pages that we were happy with, while I was writing and editing the text of the story. One of the things we both enjoyed was the collaboration. I would suggest things that she might want to incorporate in her images and she would come up with ideas for the storyline. This happened more and more the longer we worked together, and made it all the more fun each time we got started on a new book. 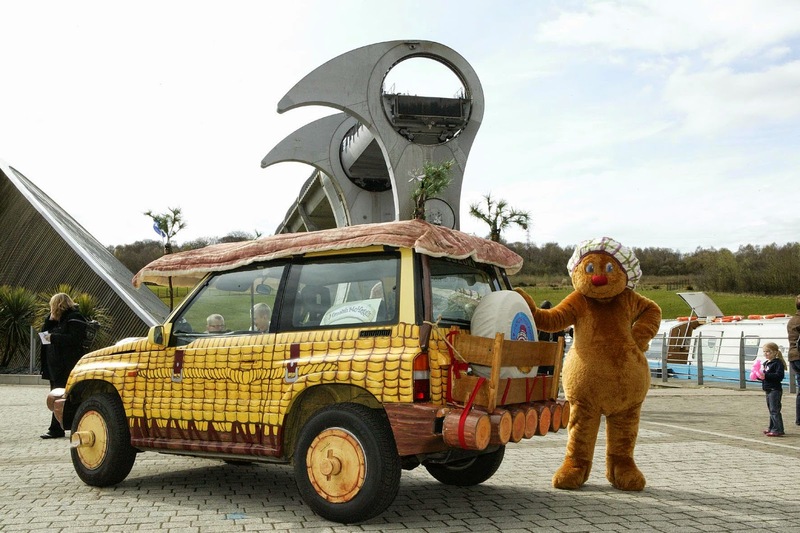 There was, for a while, a real car made up to look like Hamish's Whirry Bang vehicle and there is also a full size Hamish costume. Both of these had a lot of input from Sally and I to make sure they resembled her drawings as closely as possible, and painting up the car was a real labour of love! Sally and I also went out on the road with Hamish. As the books are set in a variety of wonderful locations, Sally and I went on research trips so that we really knew about the places where the books were set. Sally would make sketches and take notes so that she could faithfully replicate things like the pattern on the pale blue carpet in Glamis Castle and one of the chairs in the Queen Mother's room, which was incorporated into the story. She also had to draw so many of the places in the books, even the front of Edinburgh's parliament building, which was a bit of a challenge! The Falkirk Wheel, the world's largest boat-lift, was the setting for another Hamish adventure and when we launched that book we took a boatload of children and parents up on the wheel as we told the story and Sally showed them the pictures from the book. Afterwards they had a drawing class with Sally. We had research trips and also book launches in Balmoral, Stirling and Edinburgh Castles and the most recent was the Kelvingrove and the Transport museum in Glasgow. Sally even managed to sneak in small images of both of us into one of the pictures at the Transport museum in Hamish McHaggis and the Great Glasgow Treasure Hunt. She had a great sense of fun. 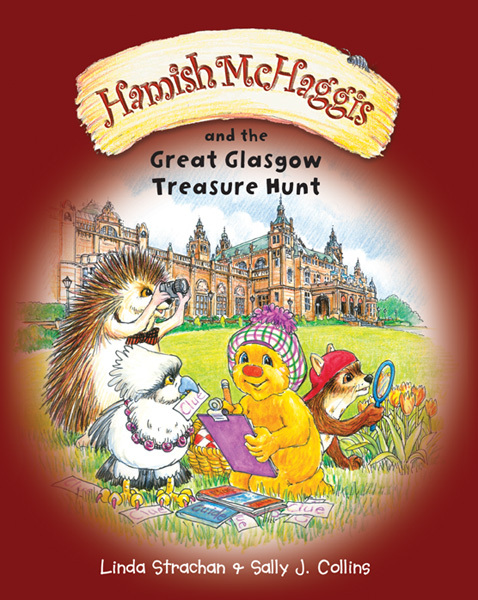 The Hamish books are used in a lot of schools as the focus for anything from a week to a term's work and although I have always done a lot of school visits on my own, it was fun when Sally and I went to do events together. I never tired of watching Sally drawing Hamish with a class of children. I love writing the stories and it was a joy to watch them come to life on the page with Sally's illustrations. Hamish McHaggis and his friends have gone out all over the world and he is well loved, as are Sally's humorous and delightful illustrations. Last year after a lot of fine tuning we were both finally happy with the little cuddly Hamish toy, which is faithful to Sally's drawings of Hamish. A lovely, talented artist but also a kind and gentle person, Sally will be sadly missed, but wee Hamish and his friends will hopefully delight children for a long time to come as they discover and enjoy his adventures. It has been a very special relationship that I feel privileged to have been part of and which has left a host of happy memories. 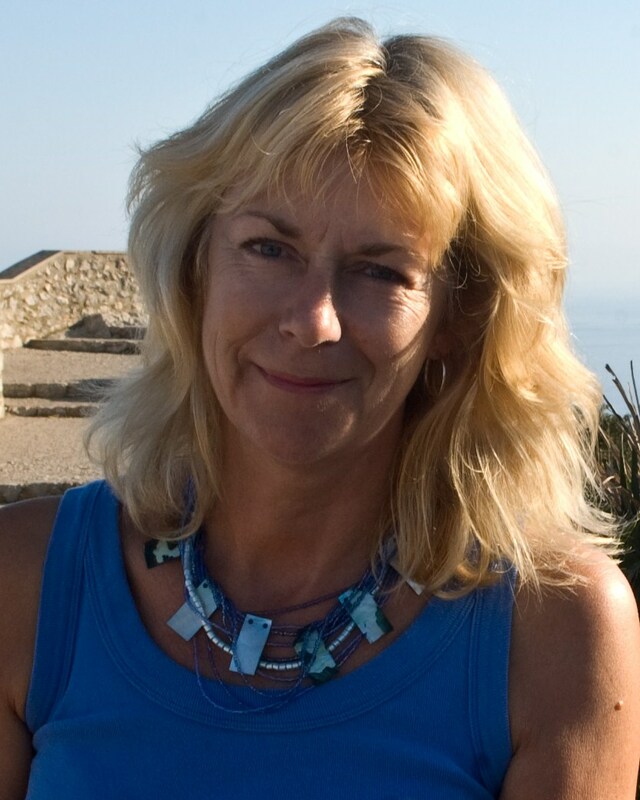 A beautiful post, Linda, and a sad loss of a dear friend and a precious collaborator. Thank you for sharing the way that Sally and you created your books and stories. 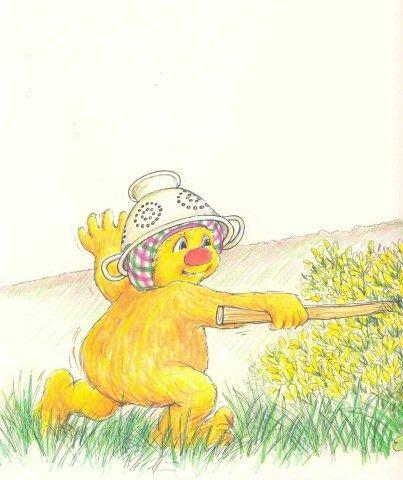 No wonder the Hamish series is so popular! You must, together, have given so much pleasure to children and families with your unique books and visits. Thanks Penny. We had a lot of fun with Hamish. Thanks, Nicola. She was also someone who never pushed herself forward,she never took her talent for granted and was always critical of her own work.